First time on market in 65 years.Well loved by present owners. Inlaid oak floors in living room,fir flooring in dining room & bedrooms. Living room has gas fireplace with built in leaded cabinet & leaded windows. Bright west exposure & viewto North Shore Mts.Separate dining room with leaded window & china cupboard.Main floor bedroom & bathroom.Roomy kitchen with eating area & original pine cabinets.Upper floor has two bedrooms.Lower floor has large rec room,spacious workshop,laundry and cold cellar.Front yard irrigation system.Back yard was this family's delight with older watering system(not guaranteed)grapevines,blueberry patch,raspberries,pear tree,old roses,camelia,peonies. 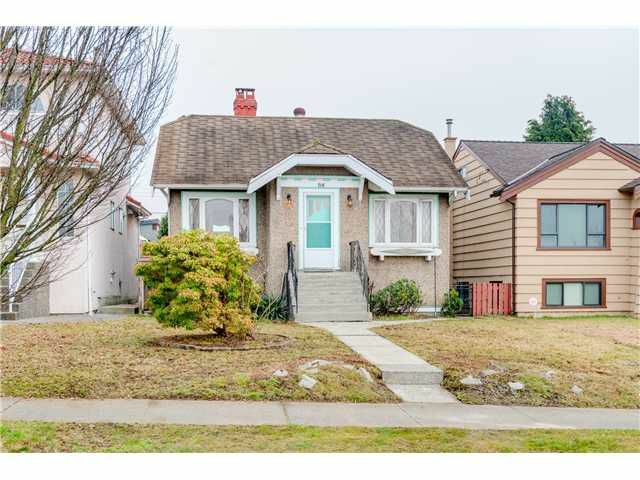 Near bus,schools,shopping,hwy,PNE.NEEDS TLC OR BUILD.